One of the biggest hurdles facing President Donald Trump is the inaccurate and biased reporting of his administration and actions by the insider, Washington beltway mainstream news media. This week, Trump’s press secretary Sean Spicer resigned Spicer did phenomenally in the face of one of the most confrontational and antagonistic news media’s in White House history. Spicer was replaced by his deputy, Sarah Huckabee Sanders. And, Trump named Anthony Scaramucci as his new communications director. Before his appointment as White House communication’s director, Scaramucci worked as an American entrepreneur, financier, political figure, and is an author. In June 2017, Scaramucci became a senior vice president and chief strategy officer at the U.S. Export-Import Bank, reinforcing expectations that the Trump administration plans to ramp up policies to improve the American economy. But no matter what Trump does, he faces a major obstacle that twists, distorts and even vandalizes his message to the American people, the biased and politically motivated anti-Trump mainstream news media that covers the White House and national American politics. Trump needs to formally address this obstacle and the only solution is to develop a strategy that creates both a new news media that projects his message fairly and correctly, and that also embraces and gives access to new media (bloggers, independent writers and freelancers) who are outside of the mainstream news media who will analyze his actions more objectively. The media bias coverage of the Trump administration is driving the public’s negative perceptions, and the media, which is driving those perceptions, is using polling which reflects that negativity to underscore their political arguments against Trump. What can Trump do besides identify sand then provide more access to his administration to independent media writers who will be more fair? He can begin by creating his own “Talking Heads” program in which reputable and fair analysts are brought together to objectively and fairly do post-ops on his press announcements, policy statements and major decisions, and also on the news media sessions to be led by Sanders and Sacarmucci. Right now, the mainstream news media is attacking Trump firing missiles of criticism at his communications team, twisting issues with ridiculous hypotheticals that reinforce their own self-generated speculation to create the conflict headlines they are using to revive their dying journalism industry. What Trump needs to do is offer a new program that the American people can access, either online in live video broadcast or on a cable TV channel that the White House can launch and make available that the public can watch. What’s needed is an objective play-by-play dialogue that describes what Trump and his communication team are saying, to replace the established post-op discussions that are controlled by the biased mainstream news media like CNN, MSNBC, ABC, CBS and even FOX News. The public will watch this kind of alternative programming if it is offered. The White House needs to also do a better job of issuing press releases that fully convey their policies that can be delivered and made available to the alternative news media. Right now, the biased Beltway news media continues to control Trump’s message, distorting it in their delivery to the public. The White House website offers complete text summaries of press availabilities and announcements, including videos of the president, but that’s not enough for the American people. They need someone to explain why the information is important. Present the raw data and raw information but also present explanation and description and interpretation that reflects what the President intends. The American public will continue to watch the talking heads shred Trump’s policies on mainstream discussion programs, but they do that because there is no better alternative to get information. Although his Tweeting is important in keeping his supporters rallied against the biased news media coverage and the twisted polling by anti-Trump haters, Trump needs to take his communications efforts one step higher not just providing a strong communications team, but also providing a media alternative. The White House can create its own news media. It can distribute a newsletter each week to every American that subscribes to it. It can be printed for seniors, and paid for by advertisers, and through email newsletter subscriptions. But the newsletters have to be informative and factual, not political. They have been be written and presented like a news media. It can create a cable TV channel to broadcast its events and announcements unfiltered by the biased mainstream news media, and that can be made available through several platforms. Traditional cable TV platform. I believe a cable service like Comcast and others would offer it to viewers as it would be very popular. Online video broadcasting that is 24/7 through Youtube or Vimeo or through the White House’s own channel. And, through podcasting through iTunes so people can subscribe. Trump shouldn’t believe that he can force the mainstream news media to be balanced and fair. He can’t. They won’t. It doesn’t serve their political interests and biased political interests are driving the media distortions. Trump needs to provide an alternative news media, one of his own. One that he controls. One that openly, not covertly, presents his message to the American people because the American people want it. Don’t listen to the lies and exaggerations and corrupted reporting by ABC, CBS, NBC, CNN or MSNBC, or by the New York Times, the Washington Post or Politico and The Daily Beast. These media sources are biased. They abandoned principled journalism long ago and sold out to the corporate interests that control them today for profits. The corporate owners recognize that hating on Trump sells and they believe they can revive their dying industry. It’s no longer about American journalism because American journalism is dead, or on its death bed. It can’t be saved by the mainstream news media because mainstream news media bias killed it. Don’t let the biased news media prop up the dead carcass of ethical, fair journalism any longer. 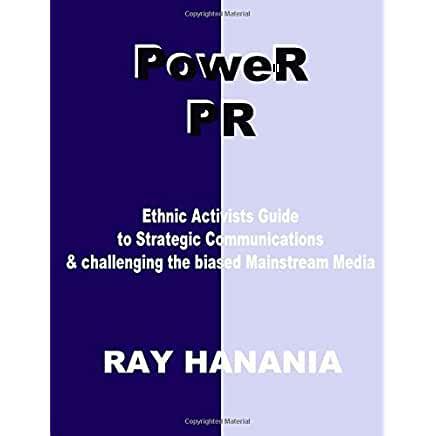 Create a new media source and strive to make it fair, upfront, open and honest, characteristics that the mainstream news media long ago abandoned. THIS POST HAS BEEN READ 5530 TIMES SO FAR. THANK YOU!